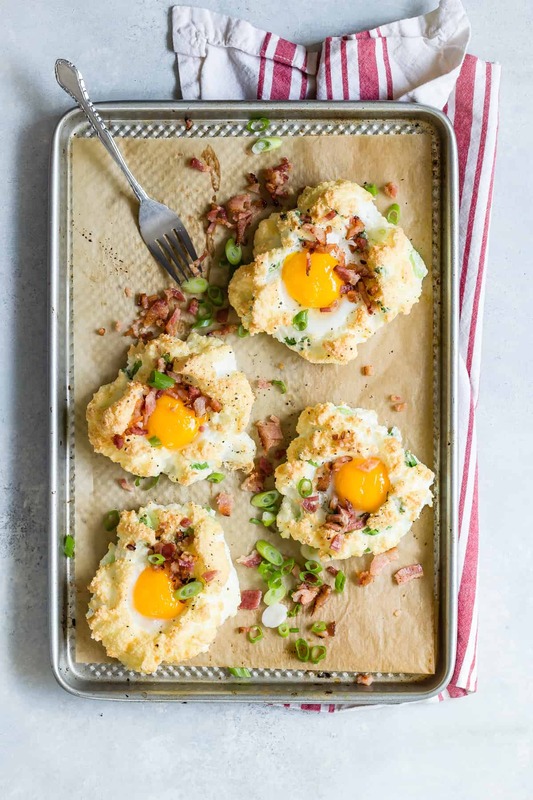 Cloud Eggs with chopped bacon and grated Gruyere cheese. Breakfast will never be the same after you taste these! Cloud Eggs are all over the internet, so I had to see what the buzz was about. Actually they’ve been around for a while but now with so much Instagram access, they’ve gone all viral! But you have to try them. They’re really easy make, low carb and so simple you’ll wonder what all of the fuss is about. It’s because of the taste. It’s like eating the lightest, fluffiest savory meringue with a perfectly cooked soft yolk egg plopped right in the middle. Your eyes say, marshmallow but your tongue says quiche. 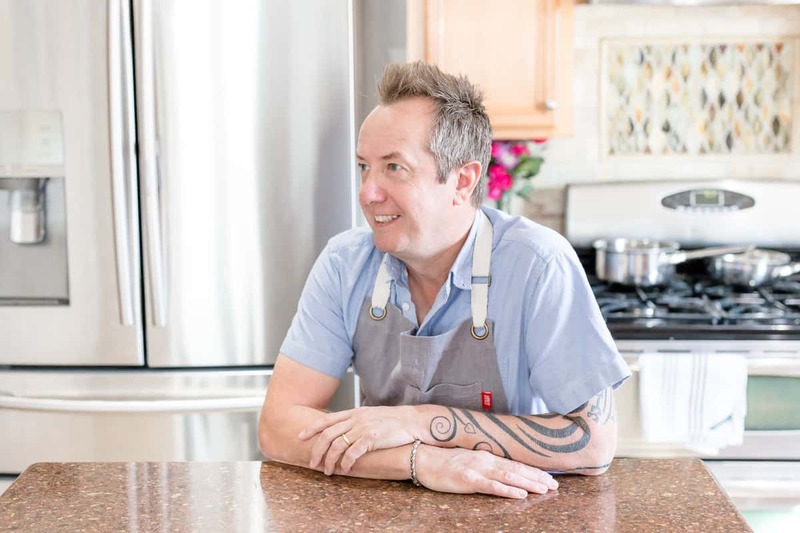 This is the perfect time to be cooking with eggs because I’m happy to be kicking off a new partnership with Pete and Gerry’s Eggs, and having these Cloud Eggs as our first recipe! Pete and Gerry’s eggs are free range and organic, and come from small family farms that truly care about the end product. The hens are kept healthy and live in great conditions, and that leads right back to the quality of the egg. The taste and the bright color of the yolk are much more superior than an egg from a hen that’s been cooped up in a tiny cage all day long. The ingredients you could add are endless. I wanted to go with three or four different types of herbs which would have tasted so fresh, but the bacon, egg and cheese sealed the decision. Who doesn’t love chunks of smoked bacon sprinkled on top and grated Gruyere cheese folded through the egg whites? Garnish with chopped green onions, salt and black pepper and your breakfast expectations just jumped up a notch or two. I’ll definitely be making cloud eggs again, but I think next time I’ll add it to a burger. 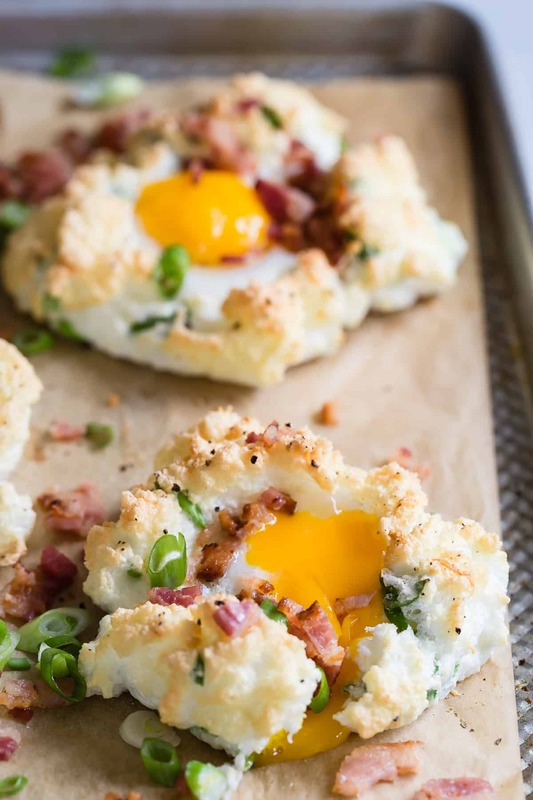 What’s your idea of a perfect cloud egg? Let me know in the comments and if you make these, be sure to tag Foodness Gracious and Pete and Gerry’s on Instagram! This post is sponsored by Pete and Gerry’s Organic Eggs. All thoughts and opinions are my own. 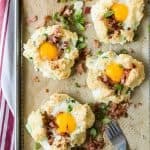 Cloud Eggs with bacon and Gruyere. 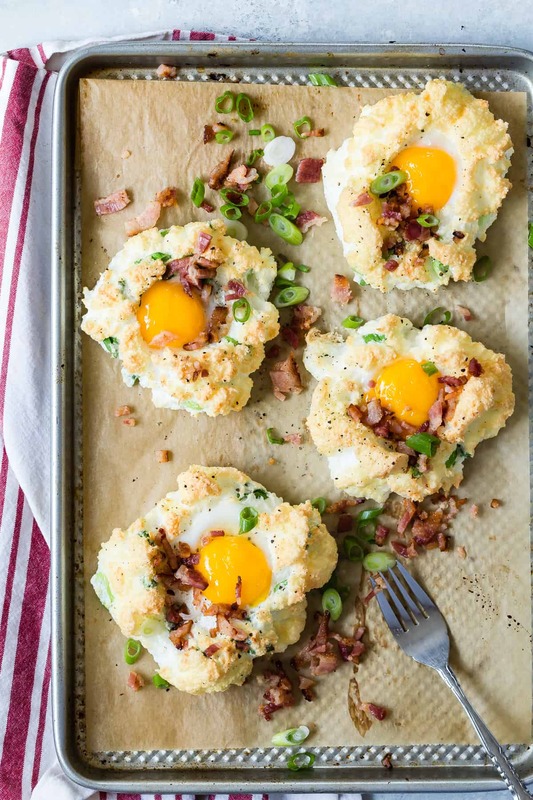 Cloud Eggs with bacon and grated Gruyere cheese, savory egg whites with a soft yolk in the middle. Separate the eggs and transfer the whites to a stand mixer. Beat the whites until stiff peaks form. Gently fold in the cheese and green onion to the egg whites. Spoon the egg whites not a non-stick baking mat into 4 mounds. Create small indentations in the egg white and season with pepper. Bake in the oven for three minutes. Place an egg yolk into each mound and place back in the oven for another three minutes. Garnish with the chopped bacon and more green onion. OMG! I need to try this! Such a great idea!! You had me at bacon! What a beautiful breakfast idea! I could eat all of those! Are you able to freeze these eggs? Hi Rachel, no I wouldn’t freeze them. I used pancetta and put them on top of a bagel with a holindaise sauce. bliss!! If you make several for the week, do they reheat well?